This year's theme, will shine the spotlight on Toronto’s film and television industry. Visit historic cinemas, film and television studios, post-production houses, digital media studios, artist-run centres as well as buildings that have been featured in film and television. With more than 1,400 on-location film, television and digital media productions taking place in the city each year, Toronto is North America’s third largest screen-based production centre and the heart of Canada’s film and television sector. The Doors Open Toronto audience take some stellar pictures during the event! The blogTO Doors Open Photo Challenge allows people to submit their photos by tagging them with #blogtodot18 on Instagram for the chance to win. The public will be invited to vote for their favourites at BlogTO.com. Screenings are curated for a general audience. Accessible seating and washrooms available on the first floor. The Claude Watson Film Arts Program at Earl Haig Secondary School Student Film Screenings, 30 mins. original 16 mm print, 100mins. Public Screening projected by Martin Heath, Director, owner and operator of CineCycle. Free popcorn at Concession Stand; beverages and treats for sale. Mike Hansen; Interactive (sound and some flashing lights). Visitor Book – Visitors are invited to share memories of the theatre and/or comment. *Please note that access is by stairs only. Printed copies of exhibitions available for viewing in downstairs lobby. Printed copy available/accessible on first floor. 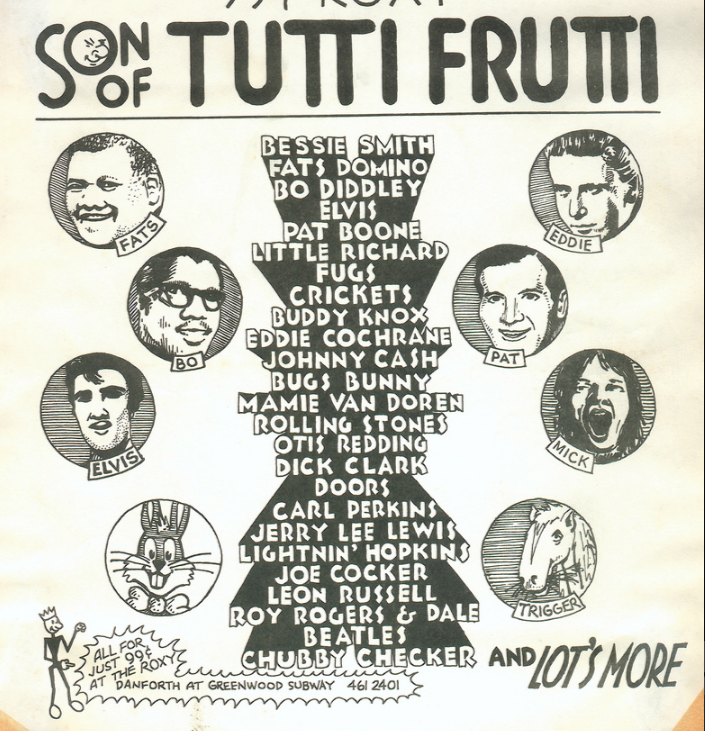 Posters of films completed in the Regent Theatre’s post-production studios. Do you have a story about the Regent that you'd like to share? In the Fall of 2017, the Regent Theatre was listed for sale. While the future of the theatre remains uncertain, we can reflect on what the theatre has meant at a personal and collective level. Come by during Doors Open and share a story, learn about the many layered history and enjoy the special events and screening. This weekend, the Regent belongs to everyone. All events and popcorn are free. 1. a neighborhood movie theater. When the Regent Theatre opened at Mount Pleasant Rd. 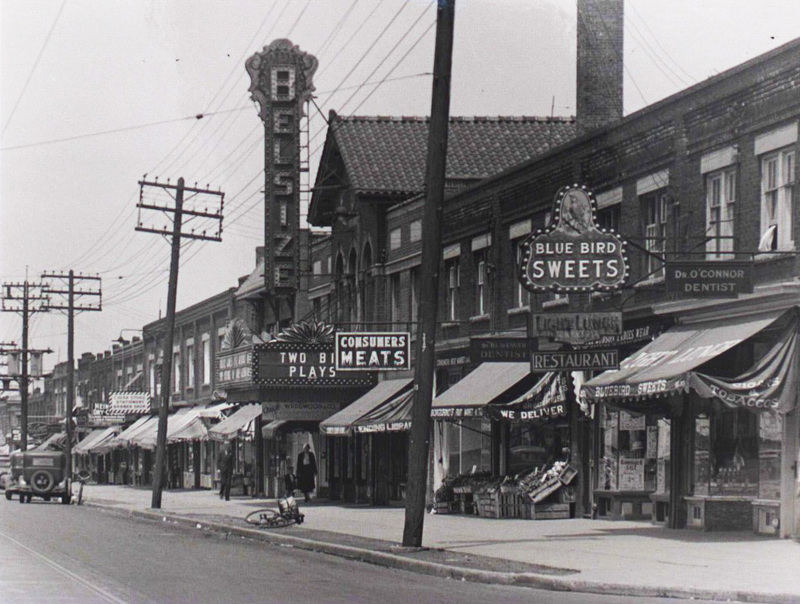 and Belsize Dr.in 1927 it was the first movie house located in the growing Davisville neighbourhood. In its first incarnation as The Belsize, the theatre became part of a growing circuit of neighbourhood movie houses or "nabes" serving people of all ages, day and night. Also known as The Crest, the theatre brought live stage to the city for nearly two decades, and again reopened as an arthouse cinema in 1969. In 1988, the theatre was once again renovated and reborn as The Regent. Come and learn more about this Toronto fixture and participate in understanding and sharing in its heritage. Thomas awakes in a dark void and must make a series of decisions. As the decisions get progressively more stressful, the true meaning of these decisions becomes clear. Jeff lives an absolutely meaningless life as a housecleaner. But when a Roomba threatens to replace his job, he has something to fight for. A young woman finds herself in a prickly situation and it’s going to take a lot to get out of it. A mysterious art piece incites a riot in a gallery. In a world where what you say can have immediate consequences. A young man's trip to Europe becomes a spiritual journey into life and love. “Hoi Polloi” offers The Red Carpet as your invitation to celebrity. “Hoi Polloi” is inspired by the concern to give ‘everyone a chance’ When you walk “Hoi Polloi’s” red carpet you are greeted by the undulating screams of your fans and the undying devotion of the paparazzi, as they swoon for your attention. Screams of love and hysteria follow your every step. The paparazzi try to get your attention as they to scoop one another in vain attempts to catch a glimpse of your image. Camera flashes blind you as you walk the red carpet. You become the focus of their attention, even for just a moment. An encounter based installation that deflates the notion of celebrity by giving star power to the masses. Music Film extracts showing the history of Rock and Roll and its origins using cartoon clips to introduce and comment on the performances. The poster says it all. In 1972 this film had a 13 week run every Friday at midnight in Toronto, cultivating and inspiring a diy film culture across different audiences and film scenes. The film will be projected from the upper balcony by one of the film's original directors and editors, and current owner of CineCycle, Martin Heath. Regent Theatre Manager, Carlos Herrera connects the state of the art sound system he permanently installed in the Regent Theatre to this classic tour-de-force.